And the burgers it makes are delicious. In the future, robots are going to be in charge of your food. Robot baristas will make you a latte, robot chefs will whip you up a pizza, and robot couriers will deliver you your lunch. It’s starting now in earnest. Next Wednesday, Silicon Valley CEO Angelo Vardakostas and mechanical engineer Steven Frehn will open the doors of a classy burger joint called Creator in San Francisco in which a burger bot will prepare you a delicious burger for just $6 — likely one of the cheapest burgers you can find in the area. The machine itself is enough to make you drool. Sleek curves and subtle design cues make it look like a work of art, not a dirty behemoth that squeezes out greasy patties. The machine truly imparts its creators’ vision, which, according to a recent Wired interview, is to “shape the future of fast food”. Its specs are impressive. It can whip up 120 burgers an hour, and will cost less than $1 million, Vardakostas tells the Wall Street Journal. Though the pair doesn’t have plans to license the machine yet, they will likely re-evaluate after their restaurant officially opens. 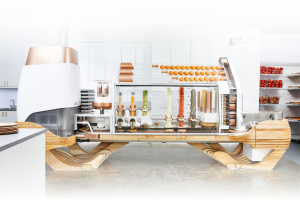 The machine is the culmination of Vardakostas’ lifelong dream to create the robotic kitchen of the future. No more tedious and repetitive burger flipping in front of a hot grill, something he had to endure from an early age. And it’s been a long time coming — it took almost a decade of prototyping and substantial rounds of funds raising to arrive at Creator. But there’s a common thread keeps sneaking its way in to the conversation: will robots take away our freakin’ jobs? It’s a tough question that’s been plaguing Vardakostas, and it’s a very real one. Automation is set to destroy a lot of jobs — according to a 2017 study, 1.8 million of them worldwide by 2020. And the burger flippers among us are especially vulnerable. When asked who will suffer as a result of automation, economic historian Joel Mokyr previously told Futurism, “The short answer is people who have boring, routine, repetitive, and physically arduous jobs.” If that doesn’t describe flipping burgers, I don’t know what does. There’s been plenty of backlash from the food industry itself. Las Vegas food service workers went on strike back in May to protest robots taking their jobs. But automation is becoming an unstoppable force. Countless fast food joints are imbuing their restaurants with automated bells and whistles, from salad preparing machines, to self-serve kiosks. It’s a growing trend that’s already shaping the future of the way we enjoy and prepare food. But it’s not all doom and gloom. 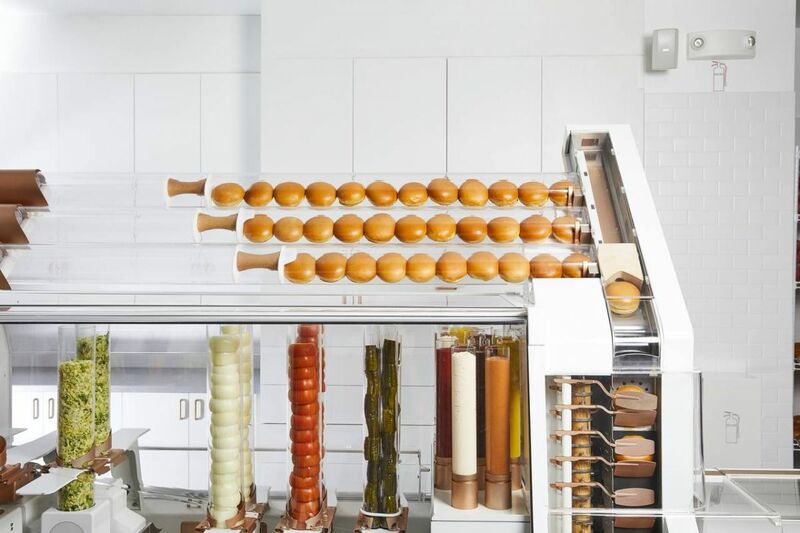 A restaurant is more than a gigantic 14-foot long burger bot standing in the middle of an empty room. Employees still have to maintain the machine, refill ingredients, instruct customers on how to use it, advise them on how to make a selection, clean, and manage the space itself. According to Wired, Creator will have up to nine employees working during peak hours, roughly the norm in the conventional fast food industry. It would be naive to think that automation won’t end up shrinking the number of food service workers at least in some ways, but new positions created by emerging technologies could actually end up helping workers. Many of their roles are going through changes that — at least for the optimistic among us, like Vardakostas — will open doors for them. “As opportunities come up to fix the machine, there’s a path we’re going to offer people as repair or maintenance people to get paid even more,” co-founder Steven Frehn tells Tech Crunch. So will burger joints like Creator catch on? Hard to say at this point. For now, Creator is one burger joint of the million or so in the bustling metropolis. But it won’t only have to prove itself as a viable business model — it will also win over the hearts of those who oppose such automation in the food service industry. And that may be even more difficult.